ウィンキンの新曲...!（使命感） 見にくくてすみません(;_;) BIAS Amp BIAS FX Tuning: dropD . https://twitter.com/kamikaze_tora. 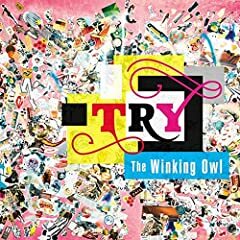 The Winking Owl - &quot;Try&quot; Reaction!!! Today I react to the new song "Try" by The Winking Owl! Merch Here: http://bit.ly/MRMMerch Subscribe Here - http://bit.ly/MRMSubscribe Buy My song "von.